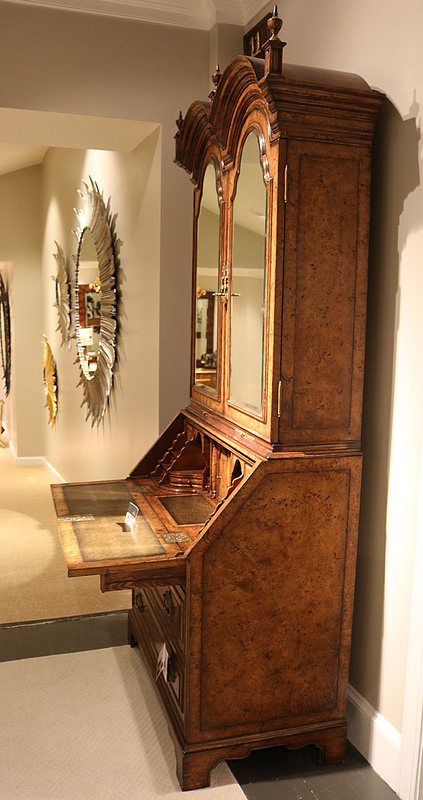 Best Custom Tombstone Mirrored Queen Anne Secretary Desk W Leather W Hideaways! 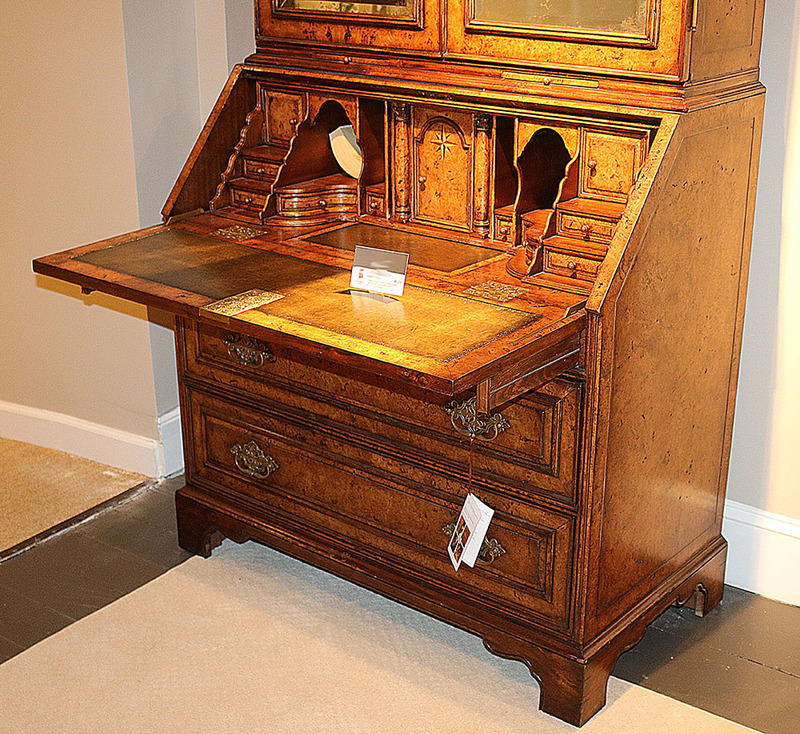 With numerous hidden compartments and cast bronze hardware, right down to the screws, this incredible antique-distressed burled walnut Queen Anne style secretary desk is one of the most beautiful and elaborate pieces money can buy. 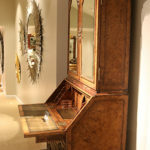 This is a special order item, made entirely by hand and takes many months to complete. 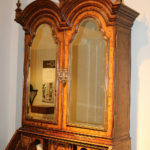 The end result is one of the most authentic looking antique replicas you can find. You can’t own the real thing so this is the next best thing. 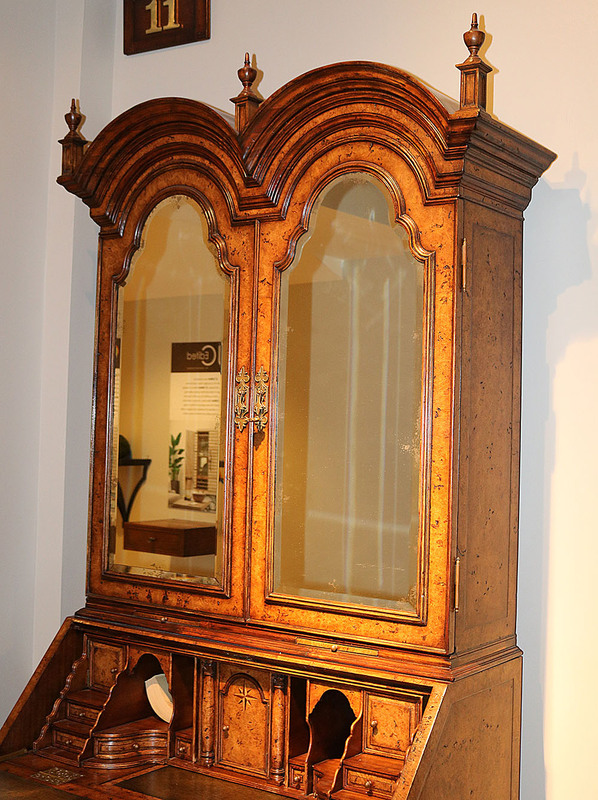 The inlay of satinwood and aged mirror glass make this piece look like the English masterpiece it creates. 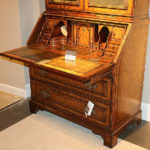 It’s antique, except it’s not! It’s stunning and for the right person, there is no equal!